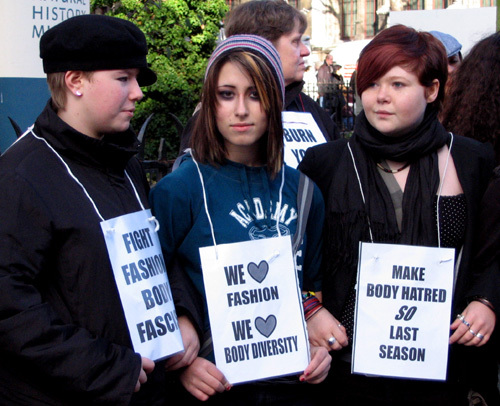 AnyBody sponsored a flash protest to kick off London Fashion Week in February 2007. 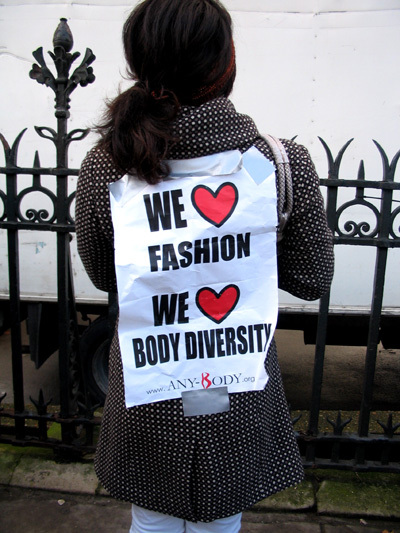 Protestors sent a clear message to the fashion industry that we want more diverse body shapes represented on the catwalk. People outside of London were able to participate by signing a petition. 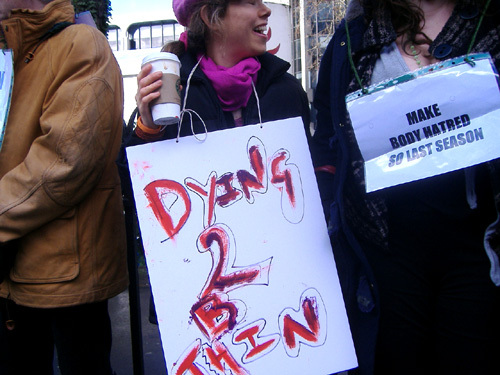 Here are some of the photos from the protest!